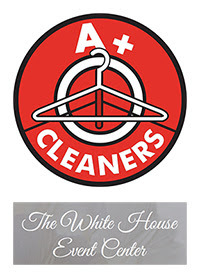 Two new businesses are moving into the first-floor space at JP Flats, 101-105 E. Second St. A+ Cleaners offers full-service dry cleaning, simple spot removal, specialty cleaning on wedding gowns and military items, as well as alterations and leather treatment. With locations in Centerville, Miamisburg, Sugarcreek Twp., Kettering and Trotwood, this will be the first downtown location for A+ Cleaners. White House Event Center Dayton will offer a 2,600-square-foot venue space for small weddings, baby showers, class reunions and birthday parties. The center will offer free wireless internet, a large open dance space, round and rectangle tables for rent, and a house sound system. Rental hall prices range from $400 for 8 hours on weekdays to $520-$625 for 8 hours on weekends. Thinking about locating your business downtown? Use the Downtown Dayton Partnership’s free and confidential Site Seeker program to search for space that’s right for your business. Start your search at www.downtowndayton.org.